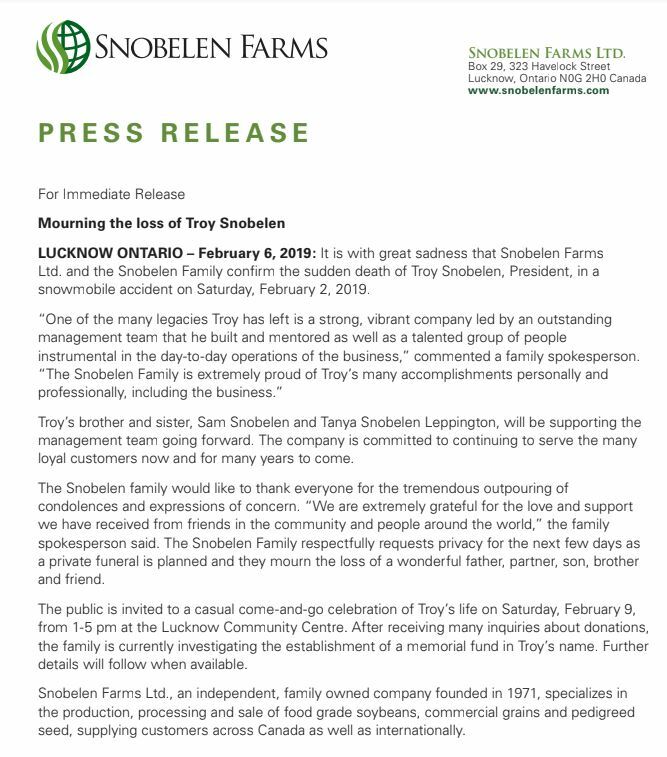 The Snobelen family has released a statement regarding the recent death of Troy Snobelen. The family is currently asking for privacy as they deal with the loss, and they are expressing gratitude for the outpouring of support from the public. 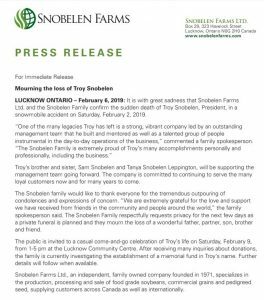 The full statement from the family can be found below, with details on visitations and the potential of a memorial fund being established.